Using RZN in golf balls is nothing new for Nike Golf - it used the material in the RZN White, Black, Platinum and Red ball last year. But for 2016, the brand has rolled out it’s new generation 4.0 RZN, a polymer material that is lighter and faster than conventional cores. This helps propel the ball as far as ever, while also maintaining a soft feel. We review the four-piece RZN Tour Platinum ball, but there is another four-piece ball in the range – the RZN Tour black. This sits alongside two three-piece balls; the Speed Red and Speed White. Nike promised a softer feeling golf ball, and it has delivered. It is billed as 5% softer, boasting a 74 compression – whatever the numbers are, you can definitely notice a difference. While the feel is soft, we also enjoyed the lively, reactive feel on offer. The amount of feedback provided remained high, despite the softness of the ball. It’s right up there with the longer premium balls on the market. The RZN core is three millimeters wider compared to last season’s offering. This combines with the SpeedLock core – which is a grid of squares on the outside of the RZN, boasting deeper ridges this year – for increased ball speeds. The ball’s 344 dimples also now have “micro surface roughness”, which are basically dimples within dimples. This promotes a steady ball flight, and yet more yardage. Around the greens we were able to get decent amounts of spin on the ball, although other balls will provide more. Off the putter face is feels fantastic. A superb golf ball – one of the best premium balls on the market today. Provides a soft but responsive feel, and offers heaps of yardage. 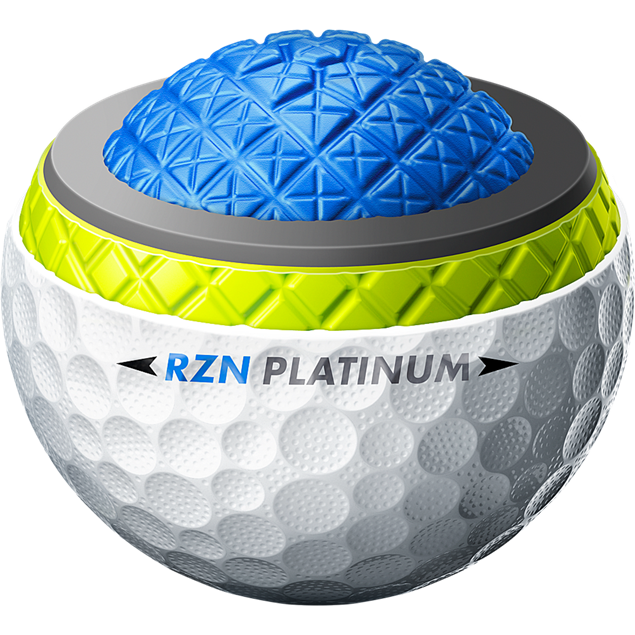 It’s worth giving the Nike RZN Tour Platinum a test if you’re looking for a new ball in 2016. Head to the Nike Golf website for more information.